Chris Fowler, President, TruBridge In the competitive healthcare market, the battleground is replete with aggressive strategies to improve patient outcomes, process efficiency, and expand service offerings. Since the envisioned expansion programs are expensive, being absolutely sure healthcare providers are getting paid timely and accurately for the services they provide has become more important than ever. In the wake of declining reimbursement rates set amid a spiraling cost curve, the focus for most healthcare providers is to holistically address the revenue cycle challenges. With the shift to value-based reimbursement, the ability to capture quality information efficiently and as early in the process as possible is a priority, which enables all stakeholders across the care continuum to receive the payments they deserve. Alabama-based TruBridge spearheads a unique transformative approach whereby healthcare providers get paid efficiently and accurately via a solution that spans the entire Revenue Cycle operation from end to end. 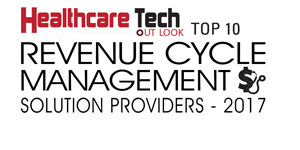 Although revenue cycle management (RCM) may be similar across various healthcare settings, their challenges differ. A one-size-fits-all approach cannot bring the much-required change that is typically needed. Due to the complexity of the reimbursement cycle, hospitals and other healthcare providers oftentimes are unable to find the right combination of talented RCM professionals, efficient easy to use software, alongside best practice processes. “At TruBridge, we pride ourselves in adopting a consultative approach with every client when it comes to diagnosing the root cause of revenue cycle problems. Most importantly, whether the need is for a better process, better people, or a better product, we have a triple advantage,” affirms Chris Fowler, President of TruBridge. One of the few companies who offer a comprehensive end to end revenue cycle solution, TruBridge has built a reputation as a trusted partner that consistently gets results. TruBridge charts a clear path for their clients’ long-term financial viability. Leveraging decades of experience, TruBridge understands the nuances of implementing a foolproof RCM solution that runs smoothly across both the clinical and business sides of healthcare organizations such as the hospitals, clinics and/or skilled nursing facilities. The team at TruBridge recognizes the fact that healthcare providers are looking for consistency and a flawless execution of their day to day work. As the RCM landscape continues to become more complex, hospitals need to maintain reliability and uniformity in their workflow. For more than three decades, TruBridge professionals have been helping hospitals and other healthcare providers become more efficient at serving their communities through an end-to-end revenue cycle solution. TruBridge’s solution acts as the catalyst that enables the smooth running of the workflow by guiding the people and streamlining the RCM process. With the continued payment reform and increased prevalence of high-deductible insurance plans, changes are bound to happen and TruBridge expects two key parts of their solution to continue to increase in demand. “We are beginning to see a big shift in the emphasis being placed on the upfront collection of the expected patient liability, and our software specifically addresses this issue,” says Fowler. Furthermore, Fowler and his team of experts fully expect an increase in hospitals wanting to hold payers accountable to reimburse them exactly according to their contract terms, and TruBridge’s contract management offering does exactly that. Efficient ICD-10 coding is another important element when it comes to getting paid completely for the healthcare services provided. With the RCM landscape becoming complicated, Fowler observes that each stakeholder in the revenue cycle has a tendency to operate in a cocoon and they lack awareness of the interrelatedness of each revenue cycle function and how that impacts the full revenue cycle continuum. It’s typical to find great people who are well intentioned but lack the overall understanding of how their actions impact the next step in the revenue cycle process. TruBridge’s best practice experience can help clients re-engineer their revenue cycle process, and achieve full team awareness, transparency, and complete understanding of the workflow management. “We’ve been listening and innovating for over 30 years and we’ll continue to invest our resources in the areas that bring the most value to our clients,” states Fowler. TruBridge continues their path towards development and rollout of a plethora of multifaceted data analytics solutions. The release of TruBridge’s business intelligence solution was the first phase of their overall analytics solution. The company has continued investment for developing prescriptive and predictive analytics solutions that will be leveraged across the revenue cycle spectrum. With many TruBridge clients experiencing an average increase in net cash collections of 37 percent, word is continuing to spread that TruBridge has trusted relationships with their clients that simply get results. In summary, Fowler states that when it comes to the revenue cycle operation, TruBridge simply believes that good tools, operated by good people, who are following a good process, will always yield a positive and consistent outcome.